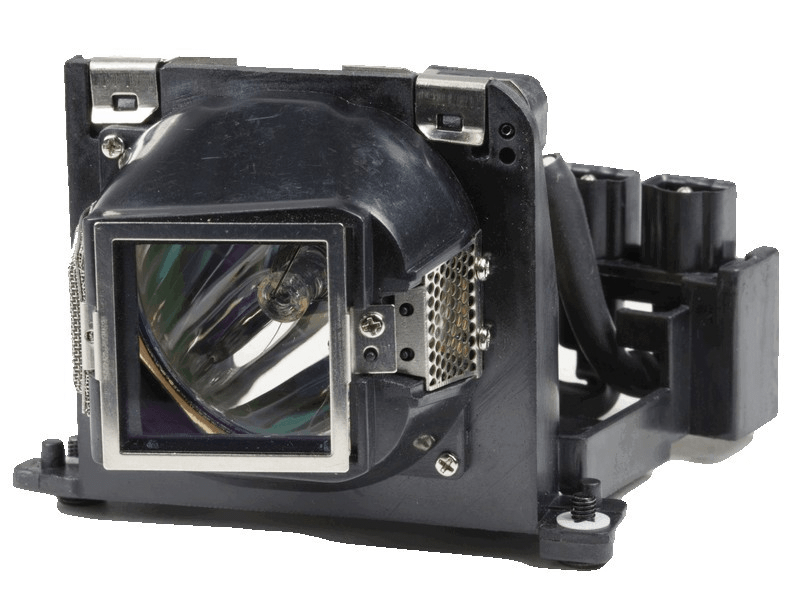 The 1201MP Dell projector lamp replacement comes with a genuine original 220 watt Philips UHP bulb inside rated at 2,000 lumens (brightness equal to the original Dell lamp). The 1201MP lamp has a rated life of 2,500 hours (3,000 hours in eco-mode). Beware of cheaper lamps made with generic bulbs that have lower quality, lower lumen output, and reduced lamp life. Our church had already purchased 3 replacement lamps from other companies. We had to return all three because they would overheat immediately. Then we called Pureland. We got the right lamp and it worked perfectly. And, it was actually less expensive than one of the others we ordered. (The other 2 were clearly junk.) The person I spoke to was knowledgable and easy to talk to. Great service. Great product. Great experience!